Embroidery is a genuine know-how, which has been perfected over the years in Tunetoo's workshops, in order to become one of the key expertise of our activity. If you're looking for a refined finish on every garment and accessory you want to create, embroidery marking results in very elegant customization results. Embroidery brings a highly qualitative touch, whatever the design to customize. This fine embroidery decorates your clothes and offers a prestige rendering with effects of brilliance and a touch slightly in relief. Embroidery is also a method that requires professional expertise, adapted tools, as well as precious time to transform your patterns into readable embroidery points by our embroidery machines. The satin stitch also called satin point, is a point of maximum 8mm which is usually used to trace the contours of patterns and lettering. While the tatami point is a fill point of the design. This modeling phase requires an in-depth knowledge of the various embroidery materials and a complete mastery of several softwares and Embroidery itself. It is important to be able to adapt any logo on different materials that will not react in the same way when passed on the embroidery machine. At Tunetoo, we use two recognized embroidery points: the satin stitch and the tatami stitch. So, there are two ways to interpret your designs, the first is simple with the satin points without finishes, while the second puts forward finishing contours around the lettering for a very qualitative effect. The touch is slightly in relief. All embroideries are made on mounted supports, on which we embroider your designs. From our point of view, it seems unthinkable to offer you embroideries of poor quality. That's why we choose to operate with tools specifically designed for embroidery in high definition. The embroidery threads used to make your logos are resistant and virtually unbreakable. Originating from the Madeira brand, these embroidery threads are made of 100% viscose and polyester. Synthetic fiber has the advantage of not fearing light, and viscose is a resistant fiber which is more natural than synthetic. Moreover, a wide range of colors is at your disposal, with more than 420 reference threads. Why favor an embroidered marking? At Tunetoo, our business expertise allows you to make all sorts of embroidered badges, logos and texts; on a multitude of everyday products. These customizations can be at the same time discrete or more authentic, but above all they serve to distinguish you in style! Embroidery is applied to all types of textiles; however, it is necessary to avoid embroidering too fine fabrics. Embroidery adds great value to all T-shirts, embroidered sweatshirts, personalized towels or bathrobes with an embroidered name. As for the price, it is generally proportional to the number of points made on the final product. And the number of points depends on the surface area of the logo and its fill rate. Finally, this technique is perfectly adapted to image and prestige projects; Because with a complex embroidered logo on the chest or simple lettering; the embroidery will always give very qualitative results. Since 1996, the embroidery world at Tunetoo is defined by: unique know-how, skilled handwork and a high-performance machine park, all grouped to respond to the biggest series. 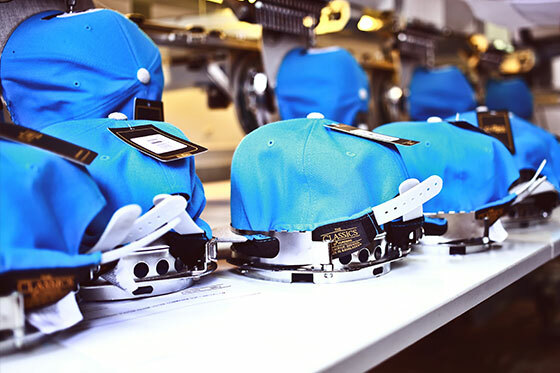 In order to carry out your customizations in a short time, the Tunetoo workshops are equipped with the best embroidering machines, equipped with precise framing systems, and whose performance capacity is efficient. Any customization in embroidery is carried out with precision and meticulousness, to have a flawless result. 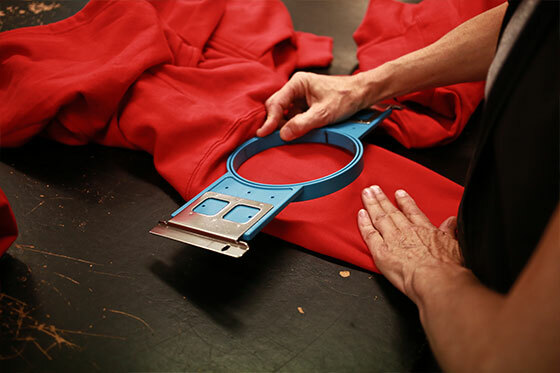 The control of each piece is carried out throughout the transformation of the garment in-house. No subcontractor is solicited in our approach, as we wish to remain the sole masters of the process of customization and the quality of embroideries designed for your orders.